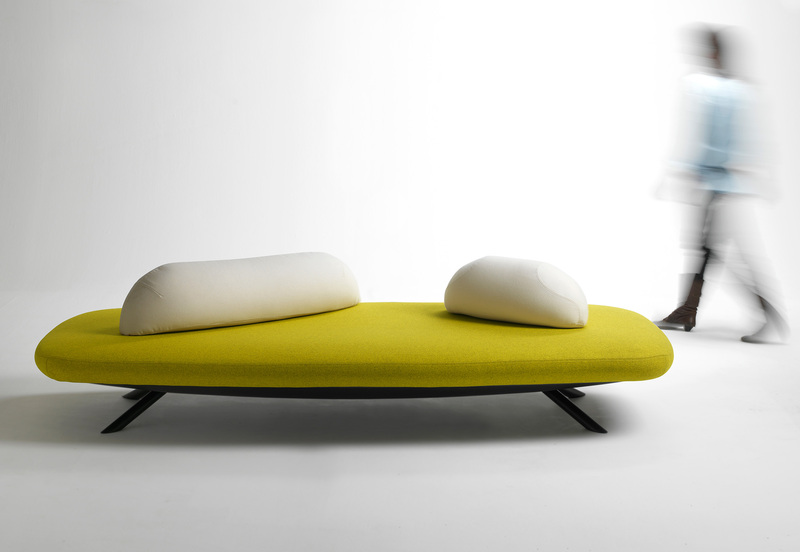 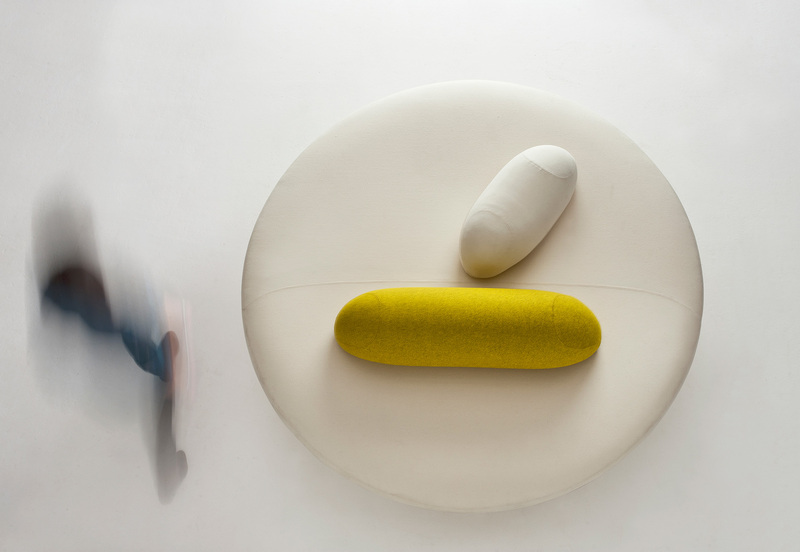 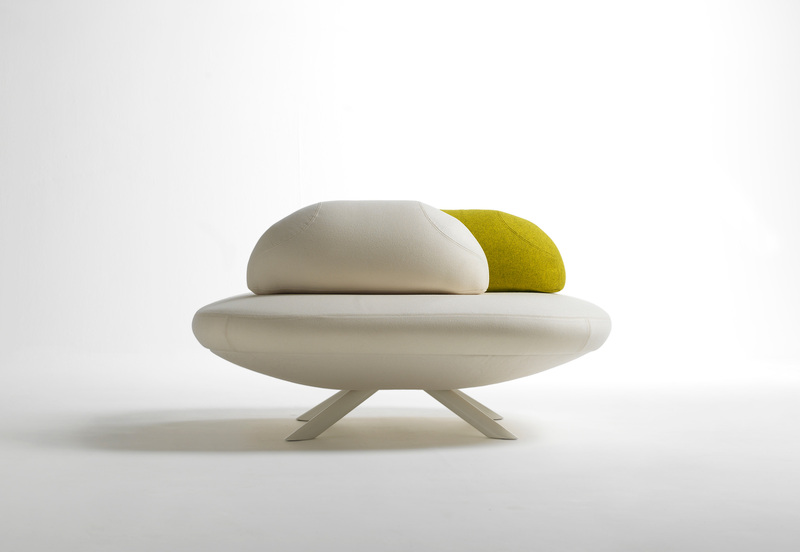 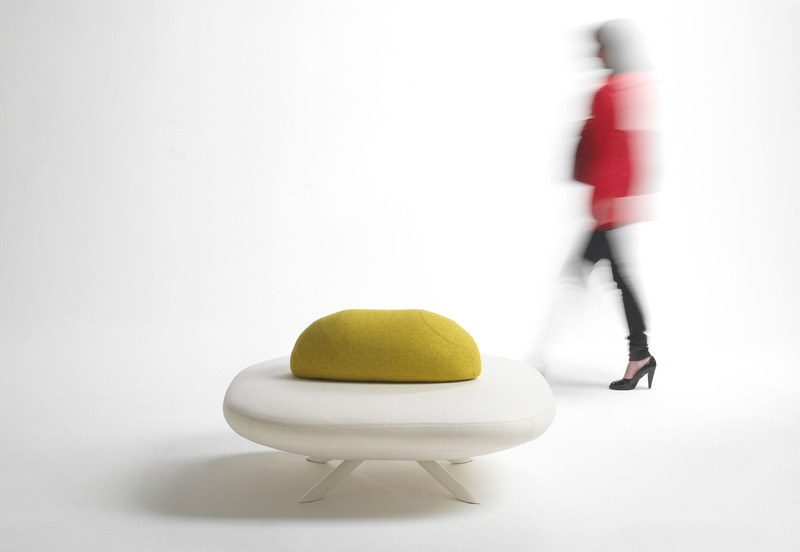 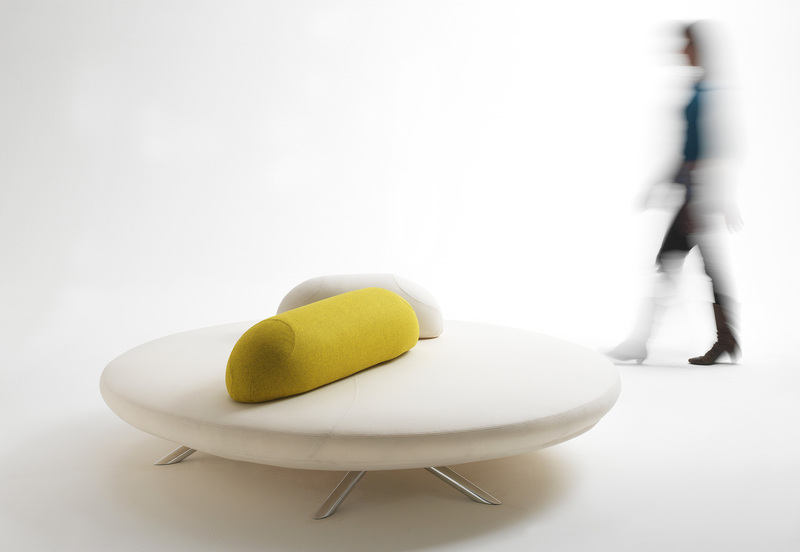 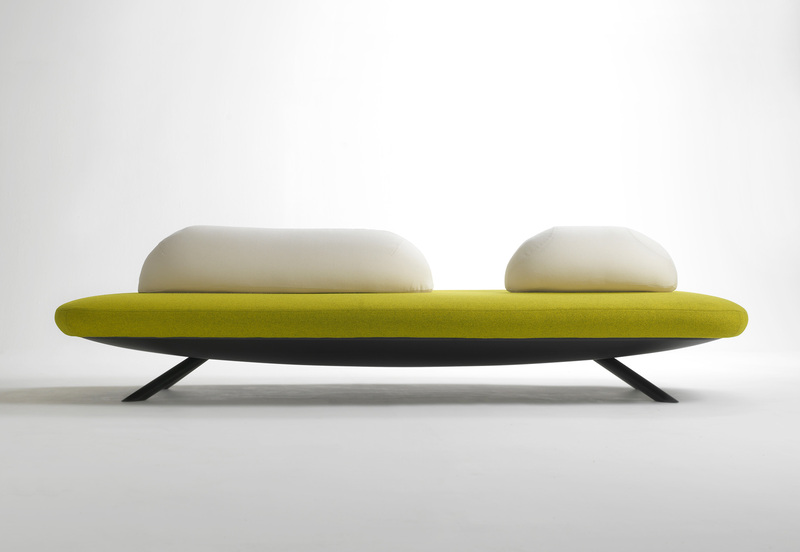 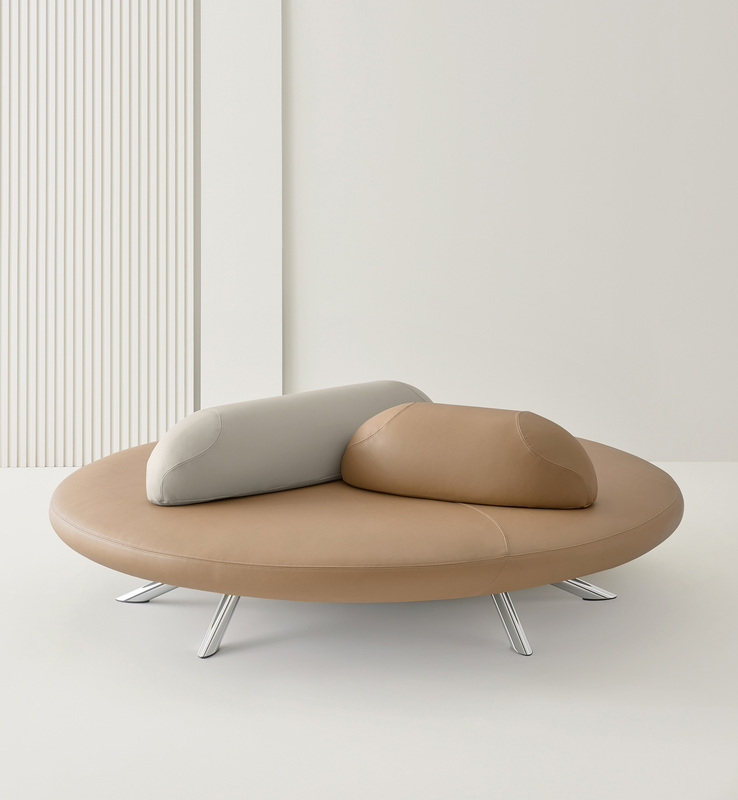 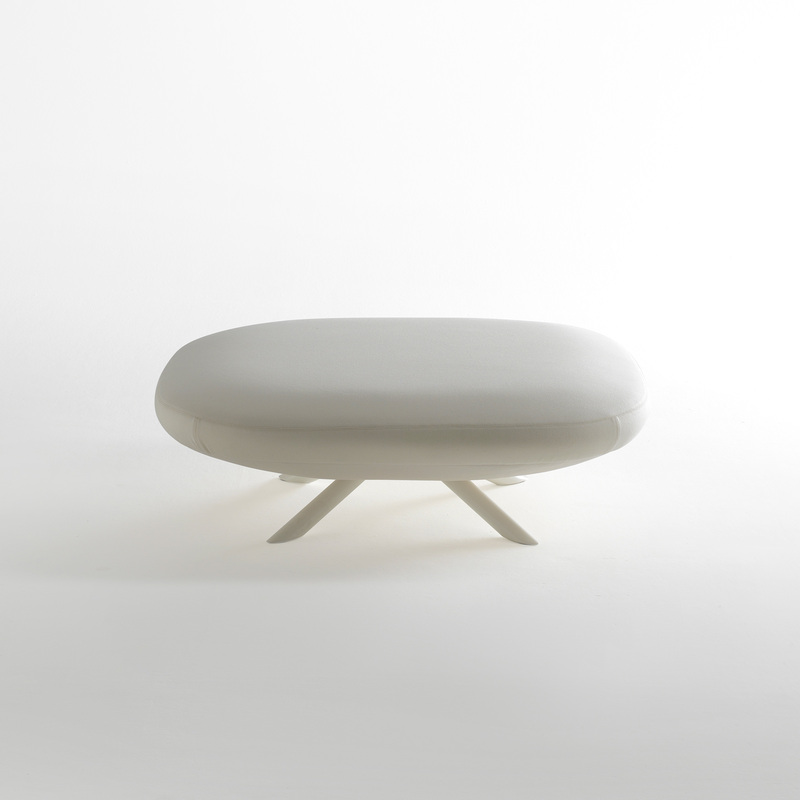 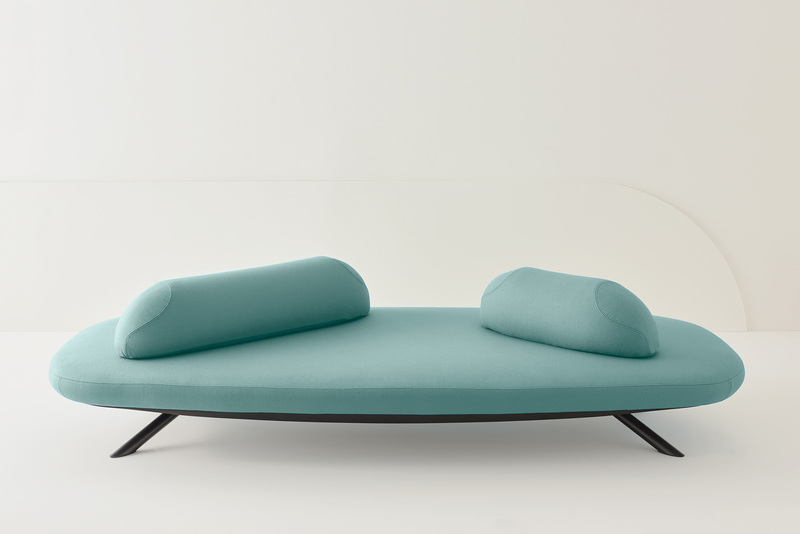 suitable for open public spaces, waiting areas or as an appealing focal point. 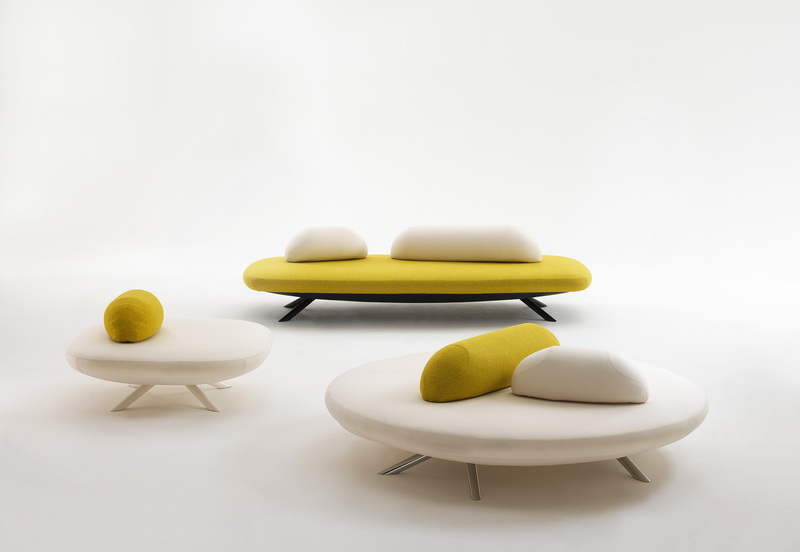 Cushions with internal dead weights allow for free positioning asdesired creating a variety of seating combinations Soft shapes inspired by the islands of an atoll. 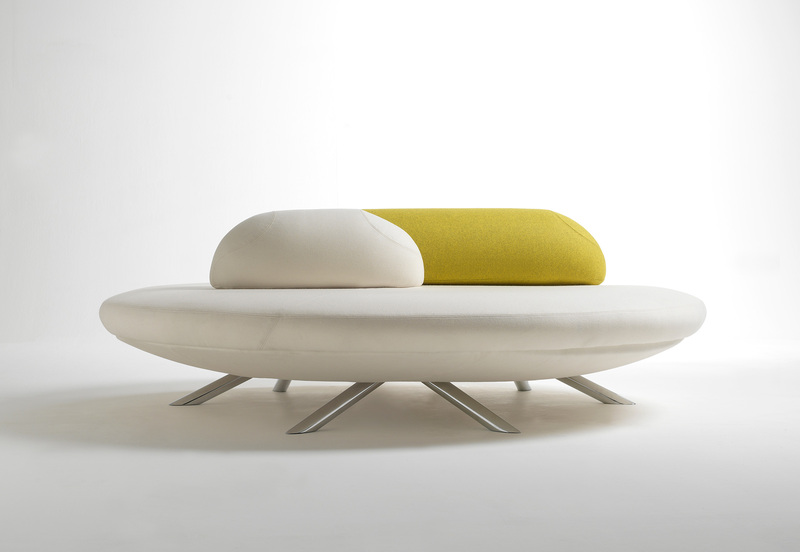 Circular, square or rectangular upholstered benches. 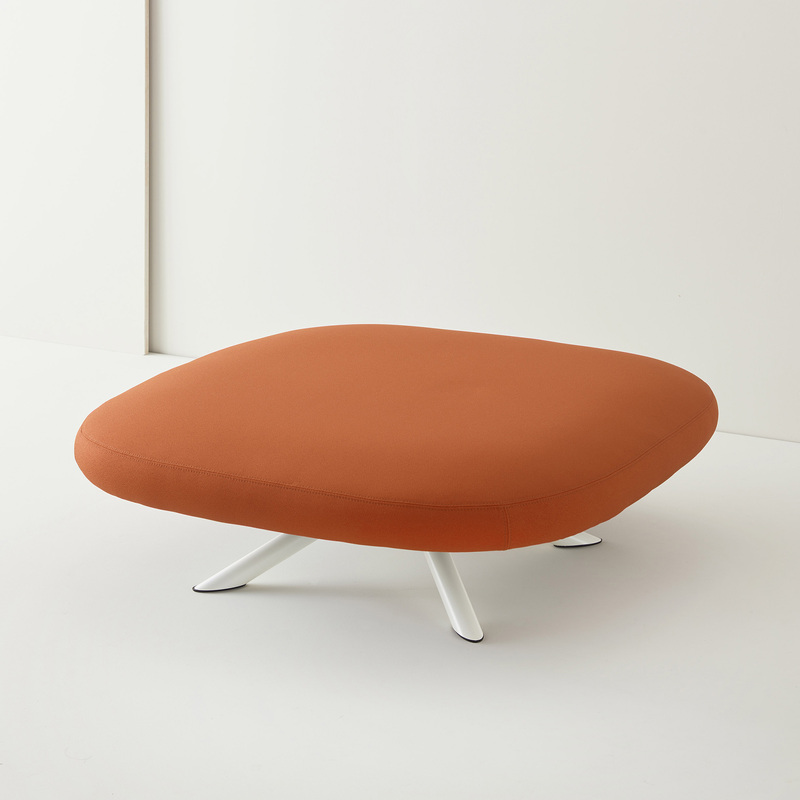 Internal metal frame combined with multi-ply plywood covered with fire retardant non-deformable polyurethane foam; underside of seat in black ABS plastic. 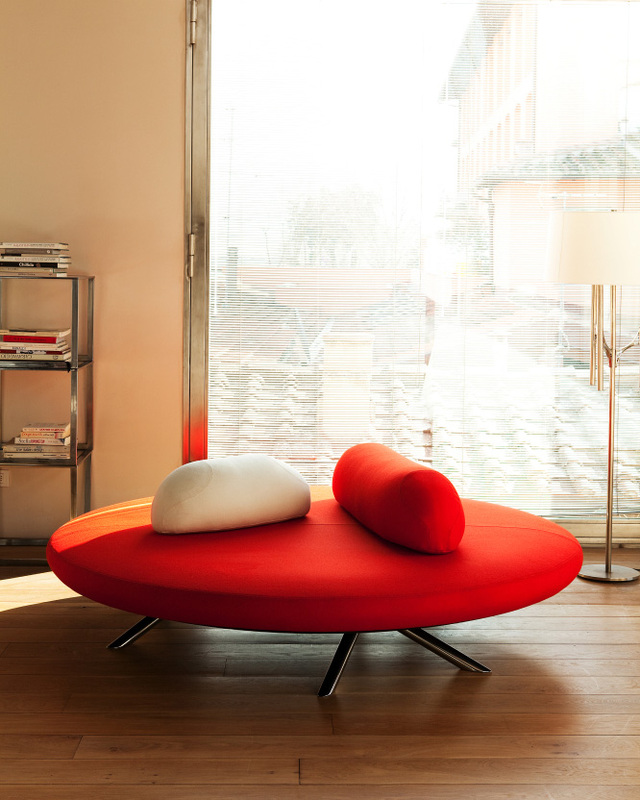 Tubular steel legs in powder coat or chrome finish.